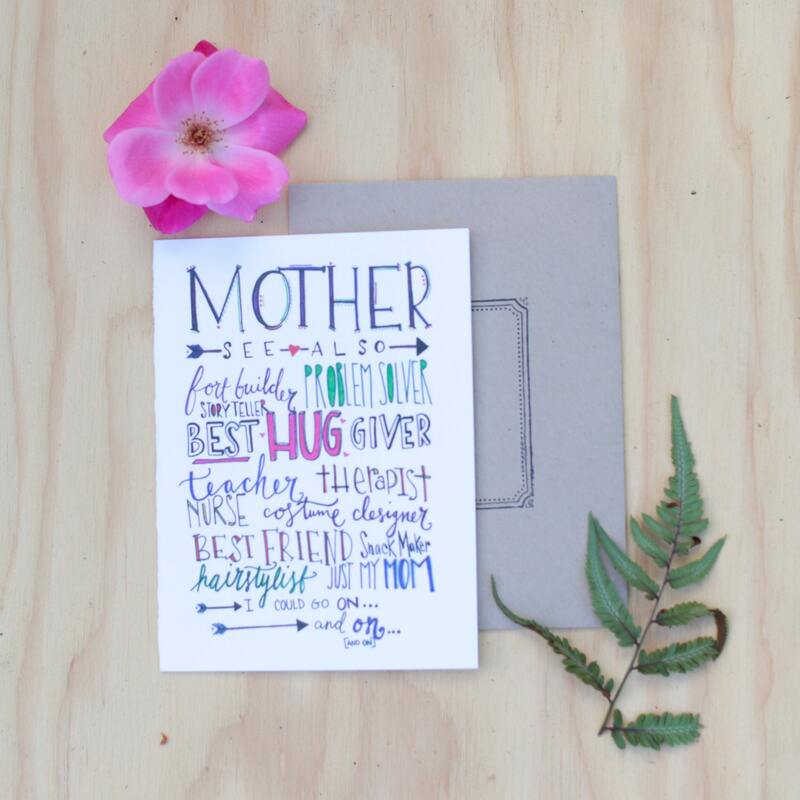 This beautiful Mother's Day card truly celebrates mom and all her amazing attributes and would make a perfect mother of the bride card as well! I wrote in honor of my mother, describing all of the roles she's played in my life. A mother is truly so many amazing, selfless things for her children. 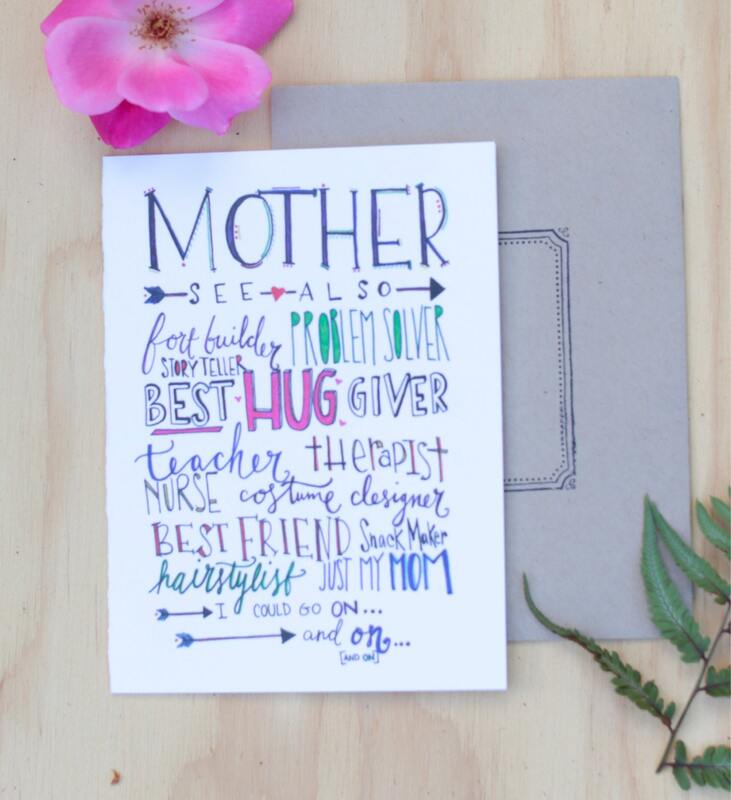 This bright, colorful card is the perfect way to honor your mother on her birthday, Mother's Day, or your wedding day! Professional printed on luxe card stock and includes Kraft French point envelope. A6 sized. If you have any questions at all don't hesitate to contact me via convo! Wholesale inquiries welcome!